Come see us on US 380 at Third Monday Trade Days in MCKINNEY. Located directly across from the office on Comacho at TradeDays Lane. We take reservations for daily rentals only, hourly is on a first come basis. There is no greater reward than seeing returning customers. THANK YOU! Please visit our Canton listing for details specific to the Canton Market. MUST BE 18 years of age or be accompanied by an adult if you have a disability and need a scooter to get around the market. Equipment must remain on trade day grounds. Must have a valid drivers license to rent any equipment. 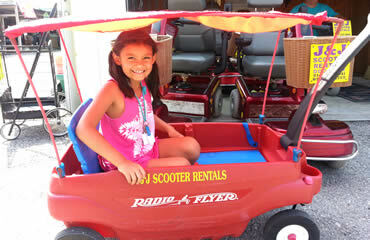 For daily reservations call 972-979-1722 & book your ride for the day!